I was concerned about about half the thickness of genuine, but it can be used without problems because there is no leakage. It is easy to use if you can place an order with fewer numbers. As a drain bolt washer for bikes. BMW's bike had an inside diameter of 24 mm, so we only had to buy this. 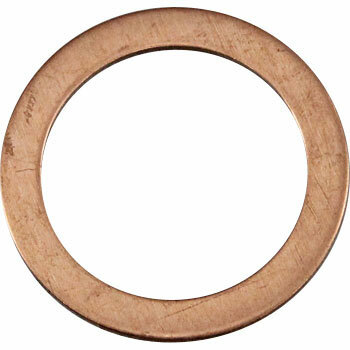 Because it is a drain bolt washer, I want a product with double thickness. The number is about 10 units. Now we use two piles in a row. I used an aluminum washer, it collapsed at 40N. This review is about item#33039596.